BioTaiwan Exhibition offers tremendous bio and pharmaceutical breakthroughs all under one roof. The exhibit covers from senior level of biotech, new drug development, medical device, diagnostics and etc. Participants are able to attain real-world knowledge from competitive leading brands. BioTaiwan Exhibition has been the Asia’s leading integrated bio marketplace for years. Focused on key trend for bio business, the event welcomes industry specialist from all of the world to share their value added perspectives of top innovative solutions and to establish global partnerships. BioTaiwan Exhibition presents various New Product Launch aiming at different industrial interest. The New Product Launch Session is known for the largest gathering of latest industrial-focused information. Visitors are increasingly finding value in particular the future of bio business. 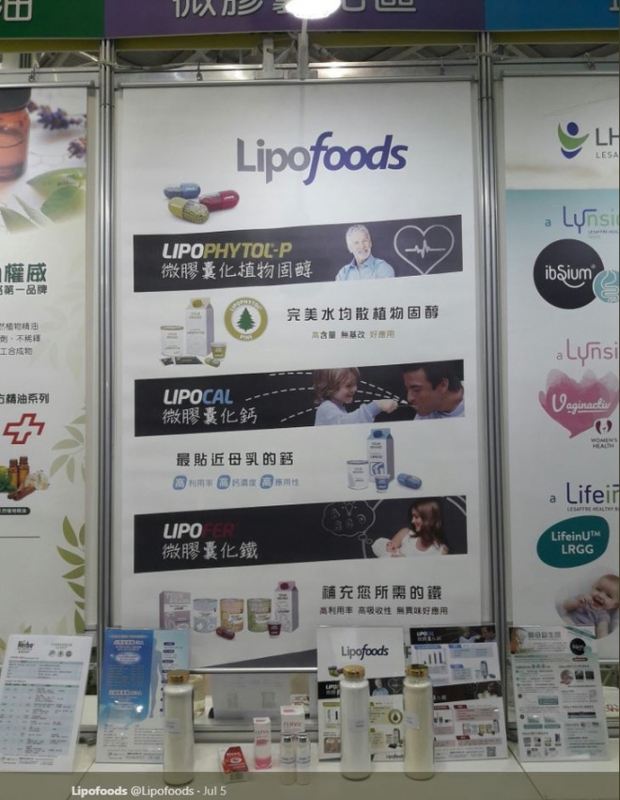 Lipofoods brands Lipofer ® and Lipophytol ® were succesfully presented by our distributor in Taiwan Han-sient Trading Co ., managing to generate new leads and brand awareness in the taiwanese market.